Thread: 5th Gen dash hmmm why no EL? I didn't really like the 4th gen preludes till i bought one haha. But the funky el dash and spread fuel/temp gauges i thought were awesome even back when i first saw them in the 90's. Why did Honda not go so creative with the 5th gen cost or problems?. If i do upgrade to a 5th gen i might have to buy those el guages for it . Stick a 4th gen EL dash into the 5th gen. Solved. Honda probably thought the styling of the 4th gen was a little too out there for the market they were aiming it at and toned it down a bit, hence why the 5th gen interior looks like every other late 90's Japanese car. Supposedly you can swap a S2000 dash into a 5th gen somewhat easily (if you can find one) and they look pretty damn sweet. Might get you some EL-goodness without carving up the whole interior. Yeah Bob but i'd see myself destroying a 5th gen lol and bits of preludes everywhere. 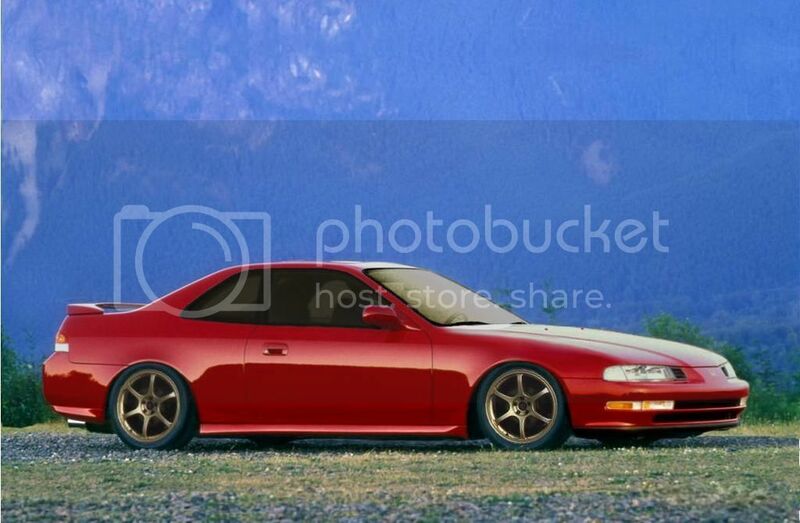 Daam i thought they would have stayed with being unique with the prelude range at least unlike the rest plain and boring from that era. S2000 dash that would be mint will look in to that if i get a 5th gen or save my pennys for a S2K i wish. Oh and Bob found this it could work lol cut and shut FTW.